What is your favorite sports? Let's go to Bali and enjoy cycling in paradise. 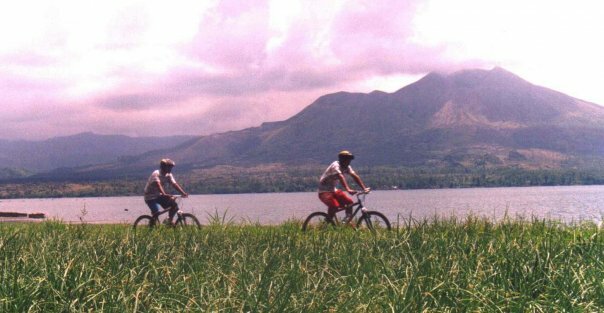 If you are a big fan of mountain bike, then you can find great track to test your adrenaline cycling, for instance around Mount and Lake Batur in Kintamani, or enjoy fantastic track in Ubud. Cycling is a fun sport. Besides aiming to maintain a healthy body, cycling can also increase our interaction with the environment. 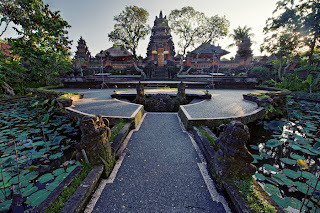 In Bali, this activity has been identified as one that is packed adventure tour exciting. With equipment of international standard, with high security and services of experienced guides, this cycling activity is a good choice to fill the holiday events in Bali. Bali has many things to visit, see and feel cycling tour will take us to places where other transportation is difficult to reach. There are different types of bike tours to suit people of all age groups and may be of interest to them. If you want a challenge, then you can also ask a local travel agent to arrange so that you can bike in more challenging locations such as mountain ranges, rivers and hills. In addition to Ubud or around Mount Batur, you can also enjoy the amazing biking trails of Mount Abang Tulamben Beach, or cycling challenge of Mount Abang to Telaga Waja River. You can also choose a track from Pidpid to White Sand Beach. The journey starts from the foot of Mt General and follow the double track and single track uphill towards the incredible scenery that further splitting the bamboo forest, land estates, artisans stone temples and rice fields. We'll see how the Balinese farming systems and community activities goes to support their daily lives. Balinese children are sometimes entertaining us along the way we passed. They will follow you with their bikes. If you bring your children, then they will be very happy to interact with your children. Your children will learn about friendship and love with other people in a new country. While enjoying the cool mountain air and you can see rural life up close, is an opportunity that cannot be wasted to find a way of life of the real Bali. You will see daily activities of Balinese people in their rice field, ritual in Pura (Hindu temple), and other their friendly smiles. You can start cycling from Kintamani which is located in the highlands, while enjoying a tea or coffee in the morning with the background scenery of Lake Batur, accompanied by a guide with a calm, patient and friendly, then start enjoying the journey, the journey down, you pass through rural life, can also stop for a moment when they have religious ceremonies, stopping at the shop to chat with the kids, or watch a local wood carvers at work. It's a really fantastic moment. Your adventure will end up in the village Pejeng; look at the life of a beautiful and quiet village, watching the women to live their daily tasks while making offerings to God, followed by lunch in a pleasant garden. In addition to these pathways, you can ride on the other line throughout Bali. You can discuss with the travel agent that provides this cycling tour packages. They will give good advice to find a path that suits you. If you have extra time don't forget to ride in Ubud area. This is a favorite village for many years to enjoy village area in Bali. 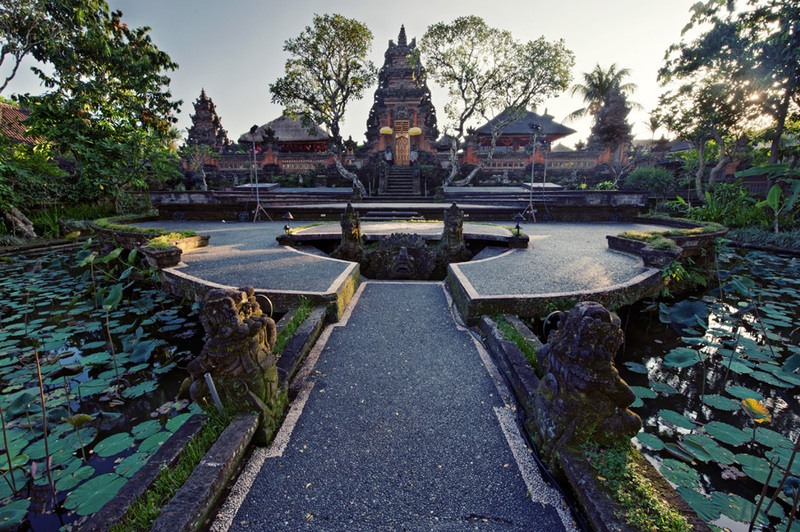 If you watch the movie: "Eat Pray Love", you will see Julia Roberts ride a bicycle in Ubud area. Feel the sensation of Julia Roberts movie. Cycling can be a good alternative to train your children the sensitivity to love the environment. So we can provide a good experience for them. 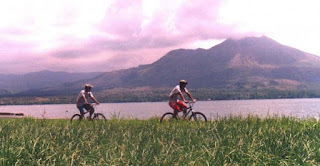 Complete your Bali holiday with cycling in the mountains and countryside. This adventure will increase our love of the green environment. We can support to prevent global warming in Bali. Nice blog and very informative..